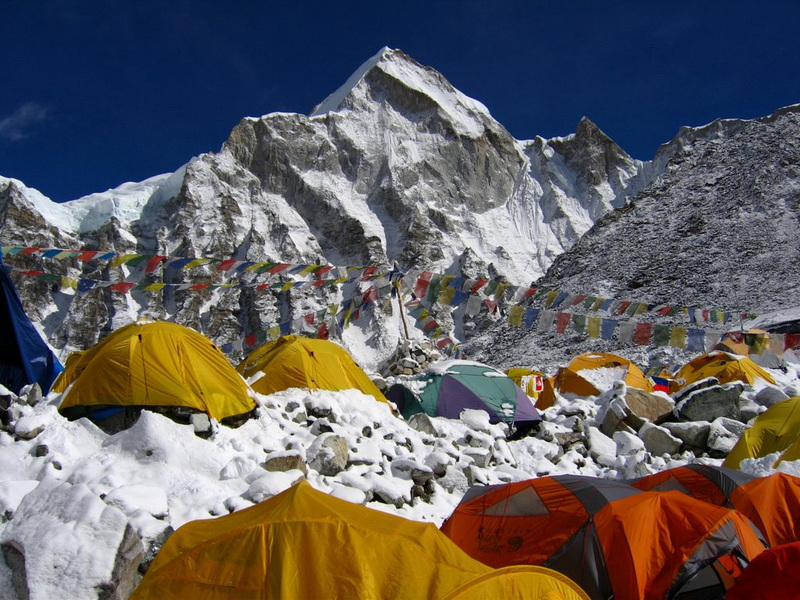 The Mount Everest Base Camps are traditionally used by mountain climbers as a resting place before and after the Everest climb, but today they have become a popular destination for hikers and trekkers. 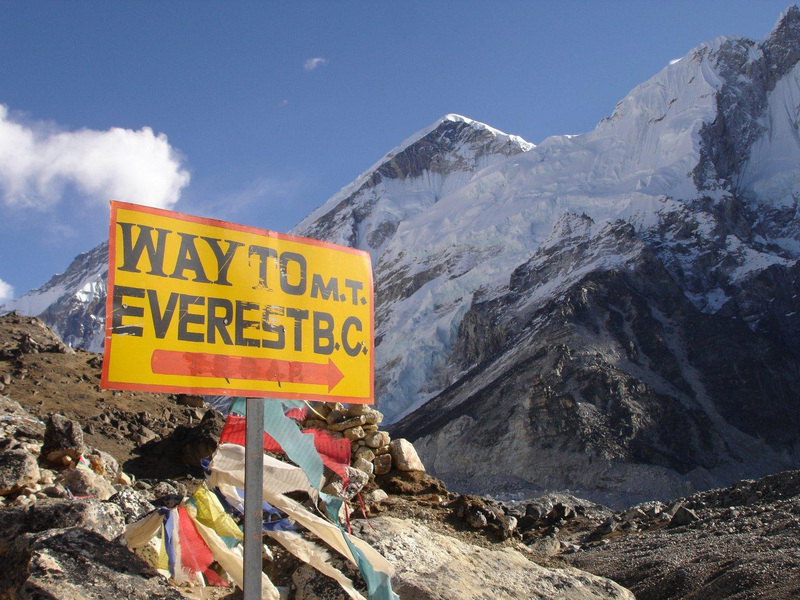 Many tour groups and companies offer multi-day treks (usually 14 – 18 days) to both the South Everest Base Camp (5,360 meters or 17,600 ft) in Nepal, and the North Everest Base Camp (5,208 meters or 17,090 ft) in Tibet. 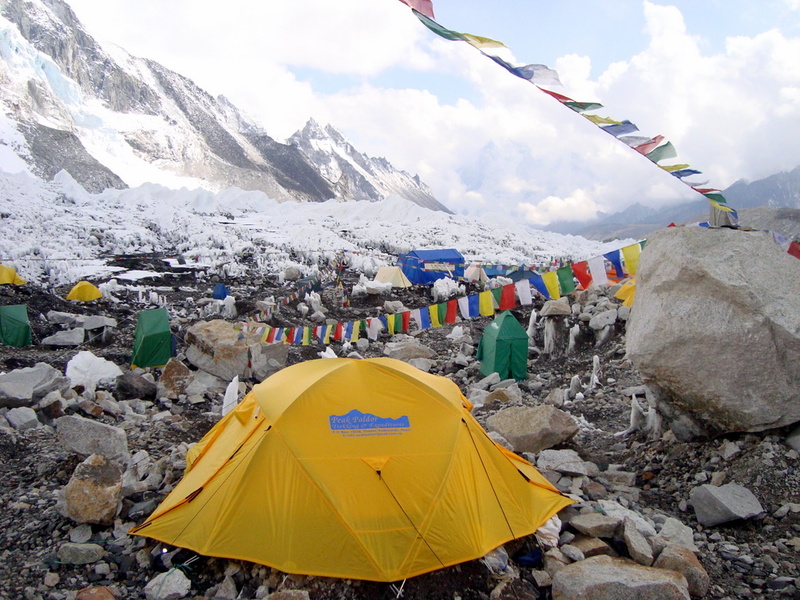 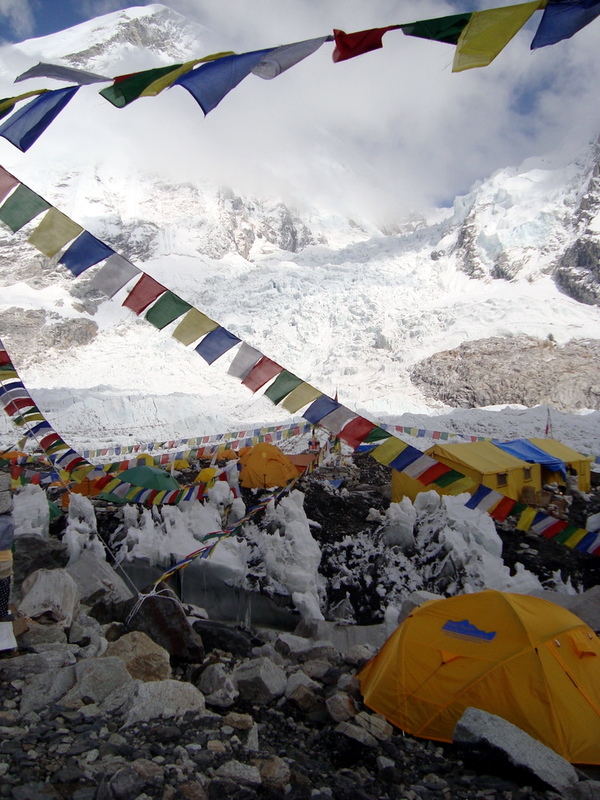 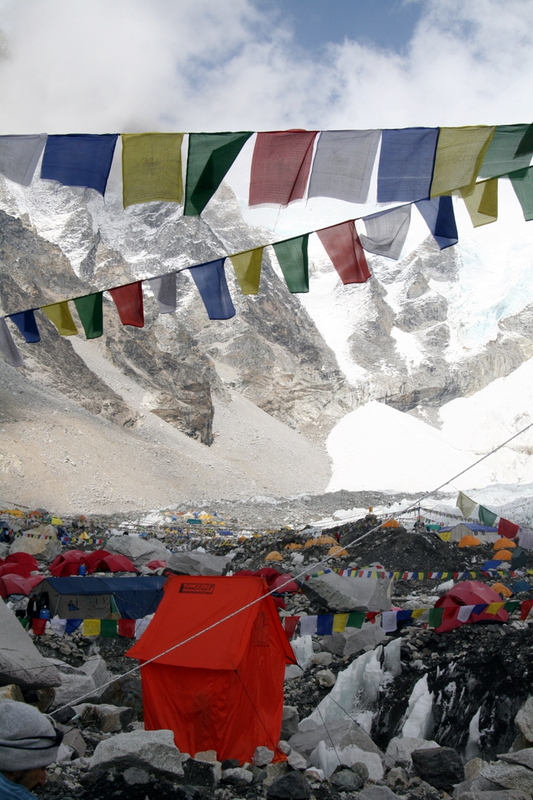 The North Base Camp requires a permit from the Chinese government in addition to the permit one already needs to visit Tibet, so the South Base Camp in Nepal is a much more popular hiking destination. 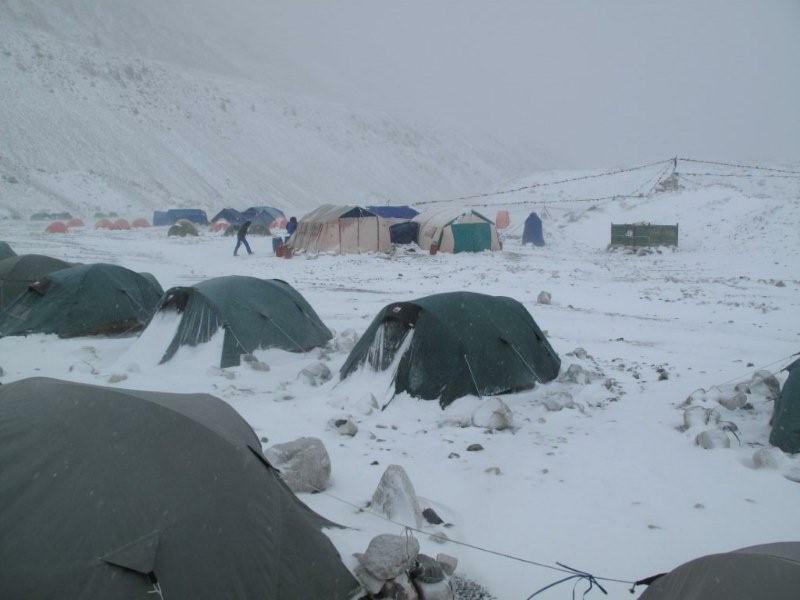 Those wishing to make the trek must be in good physical condition and be able to hike around 6 hours a day while carrying a small pack, but no previous mountaineering experience is required. 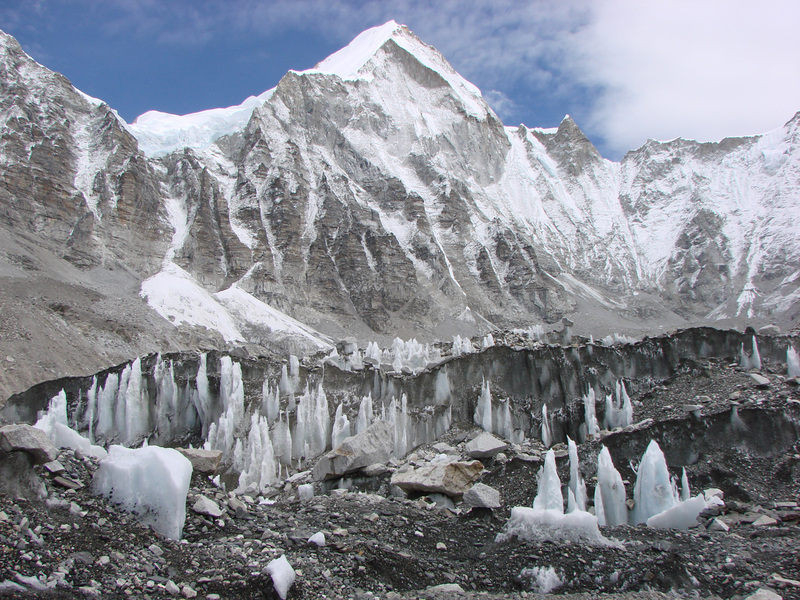 For most treks the majority of the supplies and food are carried by porters and Sherpas. 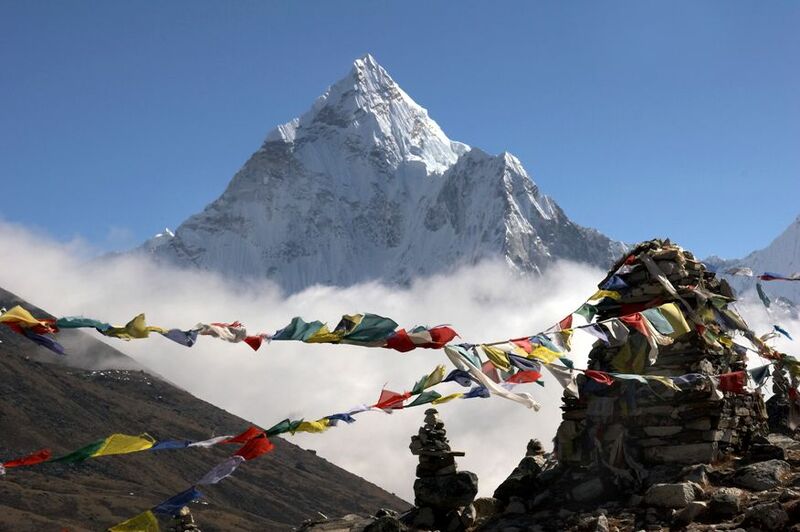 To visit during optimal weather conditions you should aim for the beginning of March to mid May or from the beginning of September to mid November. 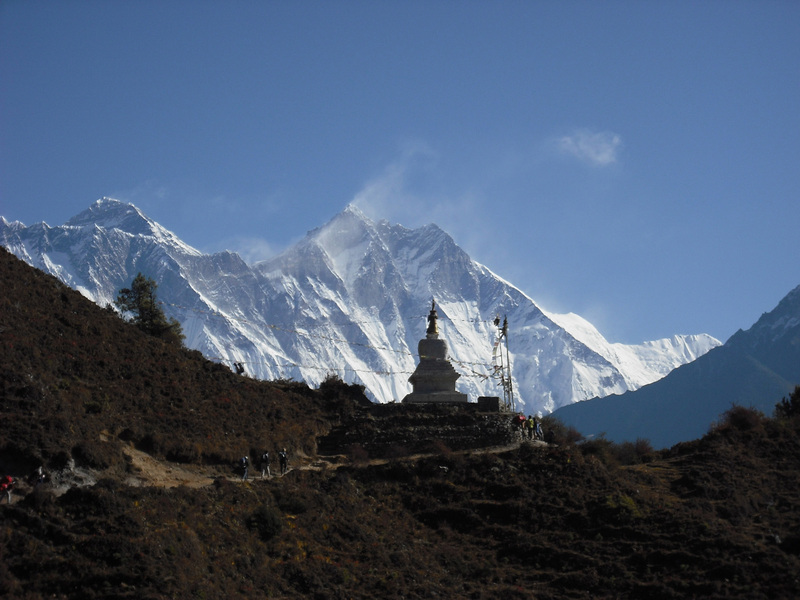 The Mount Everest peak is not visible from the base camp, so most treks also include a trip up Kala Patthar (5,643 meters or 18,514ft) which provides a view of Everest.